If you’re headed for a Yukon adventure, you’ll almost definitely stay in Whitehorse at some point in your travels. With a population of 25,000, Whitehorse is by far the largest city in the Yukon. In fact, if you subtract Whitehorse’s population, there are only about 8,000 additional Yukon residents occupying a territory nearly 20% larger than California (and that state has around 35 million people)! Whitehorse, capital city of the Yukon, is really a lovely small city, the kind you can easily wrap your brain around. One of the things I love most about it is that, unlike so many American cities, there is actually a walkable downtown where residents do much of their shopping. There are clothing stores, restaurants, two real, live bookstores, small hotels and lots of coffee shops. There are huge, colorful murals covering many of the downtown buildings, celebrating aspects of life Up North. So, for those of you contemplating a trip “Up North,” here is my modest guide to Whitehorse. I’ll periodically update this section each time I visit and discover new treats, so check again before you take off for the North. Also, make sure to visit my blogs on Dawson City (https://blog.lesterpickerphoto.com/2011/02/10/dawson-city-or-bust/). In a land where winter occupies most of the pages in the calendar, coffee is the drug of choice. Whitehorse sports a dozen (maybe more) coffee shops, so you’re sure to find at least one that will appeal to you. Here is a sampling. If you’ve never tried one before, you’ve got to make at least one stop at Tim Horton’s (there are two of them on Second Avenue), which is the Canadian equivalent of Dunkin’ Donuts. Personally, I’m not a Horton’s fan, but think of it as part of your Canada acculturation process. Next up is the omnipresent Starbucks, and Whitehorse hosts two of them. One is situated on Main Street (201 Main Street), at a major downtown intersection and is hard to miss. My favorite downtown coffee shop is Baked Cafe (100-108 Main Street), although it has now been “found” and is often crowded. However, the coffee is great and the pastries divine. 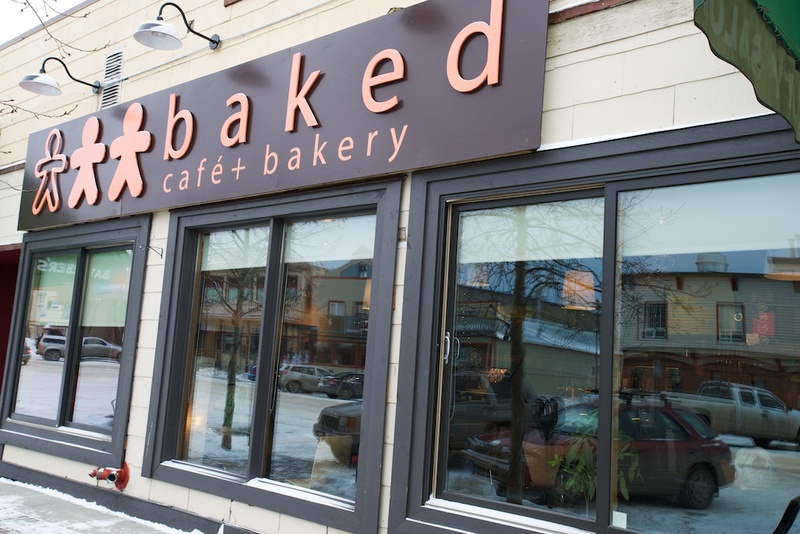 Baked also offers a wide range of healthy, delicious sandwiches for breakfast or lunch. Try one of their egg panini sandwiches for breakfast. Hot off the grill it’s hard to beat on a cold morning. If you’re headed for a day of cross-country skiing, snowshoeing, snowmobiling or just sightseeing, be sure to stop at Bean North Coffee Roasting Company. Located on the Takhini Hot Springs Road, you could couple a hearty cup of java with a dip in the hot springs. Bean North is housed in an old house and you’ll sit in comfortable chairs and couches while you sip your favorite beverage. All coffee is roasted on site and they also provide the coffee for Baked Cafe. There is no shortage of restaurants in Whitehorse. From meat and potatoes to fresh caught salmon, you’ll be able to find it here. One thing to note. The Yukon is known for its water-to-table salmon and char. Here you’ll also find fresh meats, including bison and elk. Another note: Yukon is very informal. You never really need to dress up, even at the most upscale establishments. Here are some of my favorite restaurants. You’d hardly expect a Caribbean-themed restaurant in the Yukon, but Antoinette’s (Fourth Avenue off Wood Street) is a classy, avant garde establishment with atmosphere and attitude. Run by Antoinette Oliphant, the restaurant of her name has an eclectic, but surprisingly delectable menu. Antoinette herself is a joy and she freely mingles with customers, making them feel at home. Right next door to Antoinette’s is Ruby’s, a funky restaurant catering to vegans. Ruby’s is owned and run by Antoinette’s parents who recently moved to the Yukon and are experienced restaurateurs in their own right. 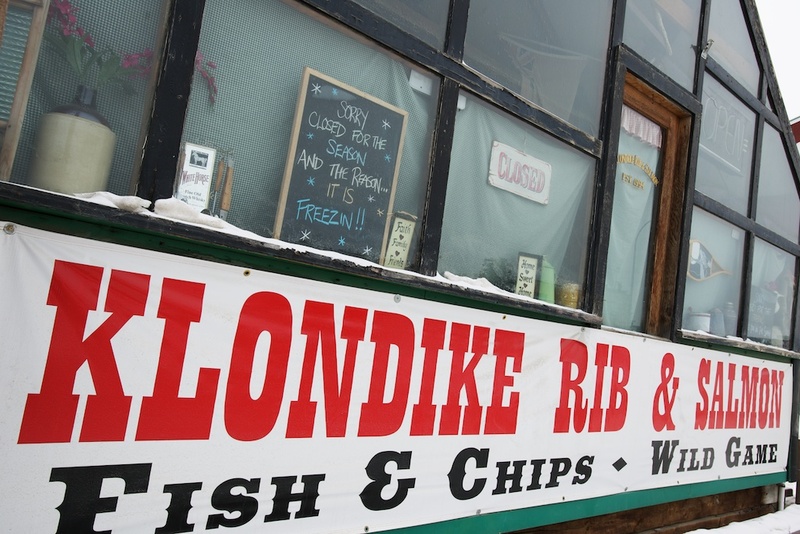 Klondike Rib and Salmon (Second Avenue off Steele Street) is an enormously popular restaurant, and for good reason. They serve fresh food, good bread and trimmings. However, they are not open in winter, as you can see from the following sign in their window. The restaurant is designed as a cabin tent. When the place is hopping, it can be crowded and noisy, but the food is superb. Try their ribs or muskox dishes, which my companions tell me is delicious (I wouldn’t know, since I don’t eat meat). Their fish and chips (which I do eat) was delicious, washed down with an ice-cold Yukon Gold beer. For a change of pace, I love Sakura Sushi (404 Wood Street off Fourth Avenue), a Japanese establishment with a wide variety of dishes. Their sushi is to die for, especially those that incorporate salmon and char. They also have refreshingly different fruit sushi. I particularly enjoy their BC Box, an assortment of sushi, tempura, soy and ginger grilled salmon, cabbage and rice. A close second in terms of Japanese fare is Tokyo Sushi (204 Main Street). Their lunch specials are a good deal and a great pick-me-up on frigid days. . The Cellar Steakhouse and Wine Bar, located in the basement of the Edgewater Hotel (First Avenue and Main Street) is a renovated space devoted to upscale dining, with an expanded wine selection. When I recently dined there, all appetizers were excellent. My companions all raved about their meat dishes. I ordered a salmon dish and found it dry, reflecting the newness of the kitchen staff. However, I believe the restaurant has good potential, as it irons out the kinks. The Burnt Toast Cafe is another option for breakfast or lunch, offering traditional, as well as unexpected fare. Nice wait staff always helpful with recommendations and good food, too. Earls Restaurant (9016 Quartz Road) is a chain eatery with generally good food and a friendly waitstaff. Their food is what I call “solid,” meaning tasty and fresh, but not inspiring. Their lunch menu is especially good. I enjoy their soups, with a side of Rosemary-Oregano Bread. Be warned that the bread portion is enough to feed two or three people with normal appetites. I wouldn’t exactly call the Urban Cake Shop a restaurant, but it is a damned good place for traditional as well as zany cupcakes. Okay, I kinda saved the best for last. If you’re going from Whitehorse to Dawson City, plan to stop about 75 minutes out of town for breakfast. Now, here’s the point; skip breakfast! Instead get one of Braeburn Lodge’s Cinnamon Buns. Just one. It’s guaranteed to feed at least 4 people and you’ll still have some left over for an after lunch treat. It truly is THAT good! Proprietor (and baker) Steve Watson is the big, burly guy with the white beard. Enjoy a cup of hot coffee with him. Thanks to Sibell and Stephen for the introductions. 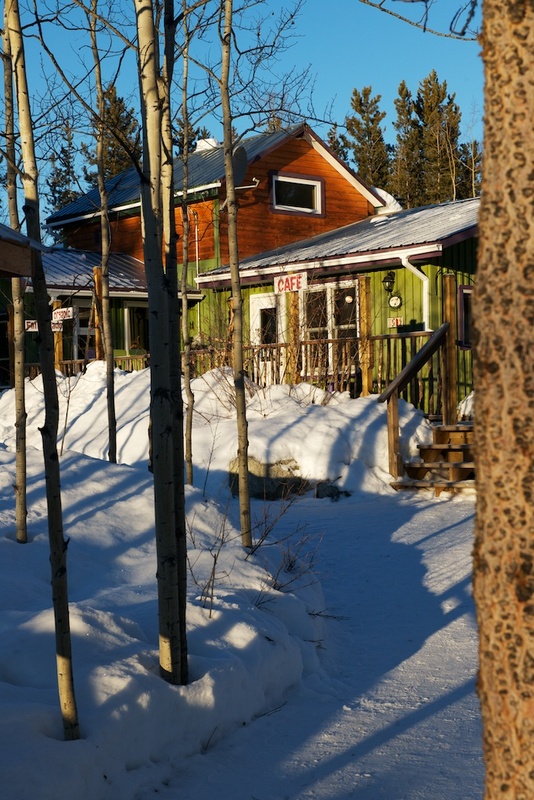 Whitehorse offers a range of lodging, from hostels and low-budget motels to comfortable (but not luxury) hotels. I’ve only had experience with four hotels, and two I feel comfortable recommending. I generally stay in the Westmark Hotel (Wood Street and Second Avenue), which is owned by Holland America cruise line. Yukon is offered as a trip extension for Holland America Alaska cruises, hence the connection. I’d describe the hotel as 3-star, but the staff is unbeatable, willing to go out of their way with friendly, fast service. The restaurant draws locals, which says a lot about its unpretentious ambience. If you are using Whitehorse as a quick stop en route to Dawson City or points north, you really can’t do better than the Skyy Hotel, right across from the airport. Aside from clean rooms, the in-house restaurant is excellent and a destination eatery for Whitehorse residents. For the penultimate Yukon experience, there is nothing that can beat the Yukon Quest, the annual 1,000 mile long dogsled race that goes from Whitehorse, Yukon to Fairbanks, Alaska. The Quest is widely considered the most grueling, eclipsing the Iditarod. The Quest alternates its starting gate, with odd years launching from Whitehorse and even years from Fairbanks so you’ll need to make plans accordingly. When the race leaves from Whitehorse, the tourism folks do a bang-up job of making it a fun family event, with celebrations lasting a week. There are hot air balloons, a banquet, dogsled rides, and lots more. Whitehorse sponsors festivals throughout the year, including the Frostbite Music Festival, the Available Light Film Festival, Kayak and triathlete marathons, summer and fall events. Go to www.travelyukon.com for details. You name the summer or winter sport and it’s available in and around Whitehorse. There are just too many vendors to mention here, but suffice it to say that the best tend to stay in business. For dogsledding adventures for a day to a week or more, I recommend Sky High Wilderness Adventures (www.skyhighwilderness.com) and MukTuk Adventures (www.muktuk.com), run by the inveterate Frank Turner, the record holder for longevity in the Quest race, with 24 completed races under his belt. Whitehorse also has top-ranked adventure guides and facilities offering canoeing along the Klondike and Yukon Rivers, as well as kayaking, motor boating, fishing and more. Flightseeing is available year round. 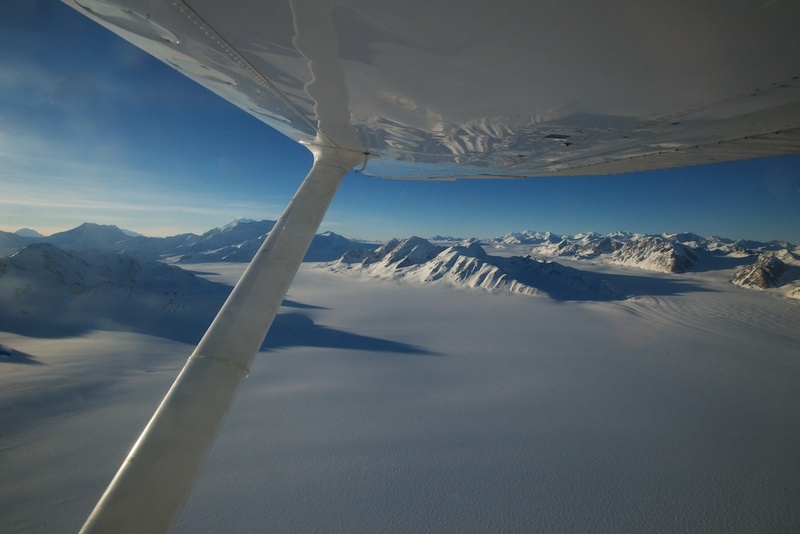 One solid company is Sifton Air in Haines Junction (www.yukonairtours.com), about 90 minutes from Whitehorse. They run glacier tours into Kluane National Park surely one of the most spectacular places on Earth. I especially recommend the winter tours and suggest taking a morning or late afternoon flight when the sun is low in the sky and the mountains are warmed by the sun’s rays. On my recent flight, we spotted 12 moose, 2 wolves, and two coyotes. We even tracked a grizzly that had briefly awakened from its winter sleep but were unable to locate the animal itself.